USES OF SALT LAMP. INSTRUCTIONS FOR THE USER. Many people from those who are going to purchase or have already purchased a Himalayan salt lamp are asked many questions. How does a Himalayan salt lamp work? How to use it? Where better to install this miracle? How to care for a salt lamp? Dear friends! To answer these and other questions, we wrote a small instruction for you, which describes the features of using a salt lamp. 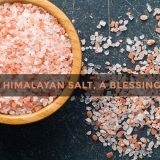 Unique Mineral is a Himalayan Salt Supplier from Pakistan and salt dealer in Pakistan which provide the different products of salt. 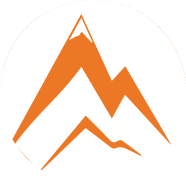 You may Buy Himalayan Salt Lamps from Pakistan from the Himalayan Salt Lamps wholesaler from Pakistan (Unique Mineral). The Himalayan salt lamp is a ceiling made of a whole Himalayan salt crystal, inside of which there is an incandescent bulb. This salt has been formed for hundreds of millions of years from the waters of the world’s oceans, accumulating in itself a huge amount of chemical compounds and trace elements. 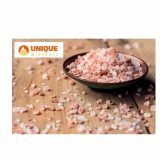 Himalayan salt is very different from sea or rock salt. In the process of formation, it interacted with magma and was enriched with potassium, magnesium, copper and other elements. This explains its pleasant pinkish hue and its beneficial effects on the human body. Himalayan salt lamp is a unique natural mineral and source of health. When turned on, the lamp begins to gradually warm up the salt dome. As it warms up, it begins to release negatively charged ions into the air. (Ion – electrically charged particle). These ions have a beneficial effect on human health. In addition, they bind and neutralize positive man-made ions. Inhalation of air saturated with negative ions helps to strengthen the immune system, helps to treat asthma, bronchitis, rhinitis and ARVI. The useful effect of the Himalayan salt lamp does not end there. Stone salt crystal has another useful property. It cleans the air, attracting to itself the smallest weightless dust that is difficult to remove even with air purifiers. And still the Himalayan salt lamp the magnificent lamp. The soft, pleasant warm light that it radiates perfectly soothes and relieves accumulated stress. The lamp does not give a lot of light, which makes it a great nightlight for the bedroom. 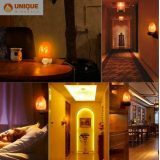 The effectiveness of any salt lamp depends on its size, the larger the useful area of ​​the ceiling, the greater the area extends its useful effect. 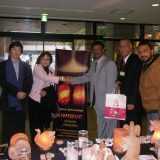 The use of a salt lamp is very simple and does not require any special knowledge. Choose a suitable place, install the lamp, turn on and enjoy the result. When choosing the location of the Himalayan salt lamp, consider one thing. It should not be installed near high humidity areas. Do not use the salt lamp in the bathroom, on the windowsill among potted plants. Do not attempt to place it near a working and humidifier. WHAT SHOULD I DO IF THE SALT LAMP GETS WET? Dry the lamp cover with a dry cloth as soon as possible. Wait until it dries in a warm dry place. Do not try to dry the salt lamp by turning it on. From this on it may appear white bloom. If the salt deposit is still formed on your lamp, do not be discouraged. It can be carefully removed with a file. 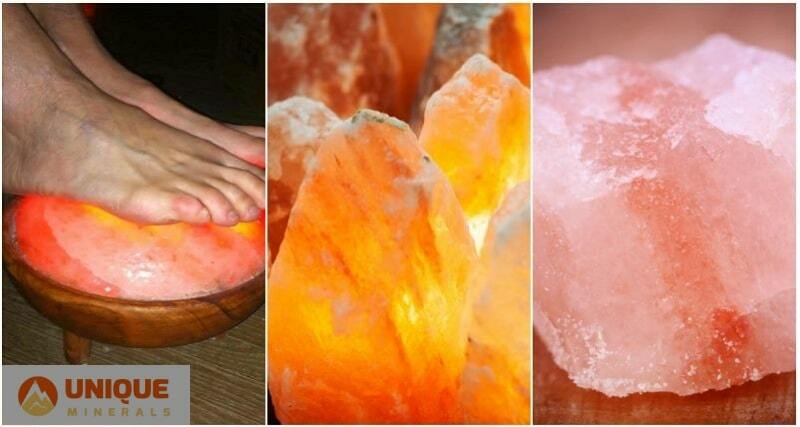 Himalayan Salt lamps do not cause allergic reactions. Contraindications to their use are not identified. Side effects are absent. 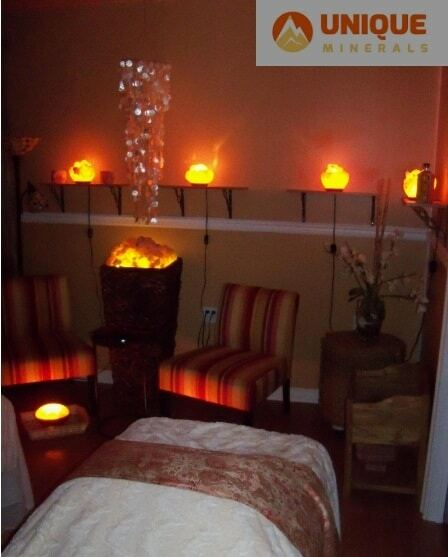 Himalayan Salt lamps can be used at any age. People who have bought this useful device, leave the most positive reviews. WHAT SHOULD I DO IF A LIGHT BULB BURNS OUT IN THE SALT LAMP? If the bulb fails, it can be replaced. Make it not so difficult. Depending on the design, you need to either unscrew the screws that fix the salt cover, or simply pull out the lamp holder in the event of its fasteners on the elastic spring. Next, replace the lamp with a new one and install the cartridge in the ceiling. Do not use lamps with a capacity greater than that specified in the passport. Periodically clean the lamp from dust with a special brush, vacuum cleaner or a dry, smooth cloth. Replace the lamp only when disconnected from the power supply. Leaving the premises for a long time, it is necessary to turn off the salt lamp and disconnect the power cord from the outlet. Keep the lamp away from water sources. Caring for a salt lamp is very simple. Periodically clean the salt cover from dust with a special brush, vacuum cleaner or a dry, smooth cloth. The most important thing in this matter – to save the lamp from high humidity. If you do not use the salt lamp for a long time – unplug it from the outlet. If you want to store the salt lamp for storage, choose a dry place away from sources of moisture. 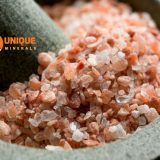 Get the Bulk of Himalayan Salt Lamps from the Himalayan Salt Exporter from Pakistan.